According to the Gallup Engagement Index, a staggering 87% of employees worldwide are not engaged at work. With a backdrop of a world where we seem to have a crisis of engagement, disengagement within organisations is also very serious and has potentially long-lasting repercussions. 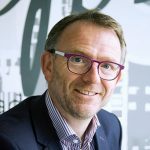 As someone who is passionate about engagement, I wanted to introduce you to fellow engagement expert Paul ter Wal who is an internationally sought-after employability expert & work health architect living in Holland. For more than 20 years he has been in the speaking, consulting & training business for executives, HR directors & employees. Paul works on both sides – employer & employees – to create work happiness & loyalty. His concept is based on finding the “Non-Negotiables” & the core values of the individual as well as the company. Join us for this week’s show where I will discuss with Paul, his perspective on how you can achieve more employee engagement and happiness, for a more profitable business! Paul ter Wal is an internationally sought-after employability expert & work health architect. For more than 20 years he has been in the speaking, consulting & training business for executives, HR directors & employees. Paul works on both sides – employer & employees – to create work happiness & loyalty. His concept is based on finding the “Non-Negotiables” & the core values of the individual as well as the company. Paul started his consulting career at Sovac/Capgemini in the field of social security & labor law. Today he is a professional speaker, strategic advisor, strategist as well as a vision and healthy workplace specialist. He is a guest lecturer at the University of Maastricht, Master Work Health and Career. Paul is recognized as Certified Speaking Professional (CSP) by the Professional Speakers Australia as well as Fellow (FPSA) by the Professional Speaking Association in the UK & Ireland.